You can call us at 774-442-3028 or fax to 774-455-4229. Developmental delays, related to genetic syndromes. Toileting Clinic – For children 2 through 10 years of age who are resistant to toilet training for stool (encopresis) and/or urine (daytime enuresis). Children and teens with nighttime bedwetting issues are seen at any age. Please complete Toileting Clinic questionnaire and mail/email to us for review. Child Anxiety Clinic – For children up to the age of 10. Our experts will use therapeutic methods consistent with cognitive behavioral therapy (CBT) to help your child. Types of problems include general fears, phobias, social anxiety, mutism, separation issues, etc. Please complete DPB Anxiety Clinic questionnaire and mail/email to us for review. Growth and Nutrition Clinic – For children birth to 6 years old who are losing weight, have a very slow weight gain or are failing to thrive. This is a multidisciplinary clinic that includes child psychology, pediatric nutrition, social work, nurse case manager, and is funded by the Massachusetts Department of Public Health. 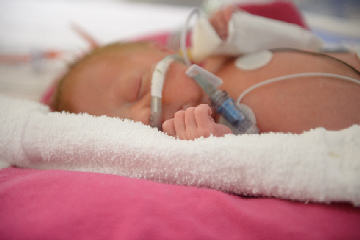 NICU Follow-up Clinic – High-risk Neonatal Intensive Care Unit (NICU) graduates from the UMass Memorial NICU are evaluated and followed up to 3 years of age. Clinic staffed by child psychologist, developmental and behavioral pediatrician and physical therapist.